This book, the first of its kind, teaches the rudiments of Cherokee, which is the native tongue of about 20,000 Americans, although most of those who speak it use it only as a second language. Cherokee has had several recognized dialects in the past. The two main dialects today are the North Carolina, spoken on the Qualla Reservation by about 3,000 persons, and the Oklahoma, or Western, which is a consensus of the different ways of speech among the Cherokees mingled there after their removal from the East in the 1830's. This book uses the Oklahoma dialect. Recent increased interest has created a demand for Amerindian language courses. Many Cherokees who ignored past opportunities to learn the language from their families are now regretting the loss. Parents who once believed that such knowledge would only be a disadvantage to their children have changed their minds. Youths who have now concluded that their ancestors had much to offer are anxious to investigate the language for themselves. 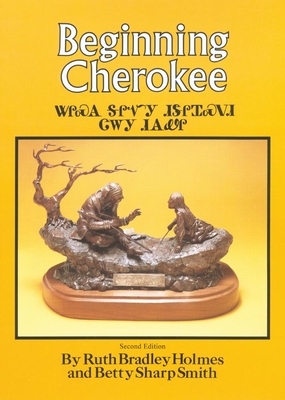 Those who do not have time to spare for organized study would often like to have a convenient source book on the Cherokee language and its syllabary. Beginning Cherokee was written to fill these needs. It will help everyone who uses this book, whether Cherokee or not, to understand that Indian tribes are contemporary people with an enduring heritage. The Cherokee language frames an outlook and an intellect that can contribute much to civilization in the future, as it has in the past.